I had a good day at the rocket launch Saturday in Samson, Alabama. I like to combine amateur radio with the launch. My rocket had a Byonics Micro Fox on-board which puts out a two meter FM beacon. While I never lost site of the rocket, I was able to practice getting a bearing on it with my KX3 and an Elk antenna. My 3 inch diameter rocket on an I140 motor. There was a 2 meter fox on-board. 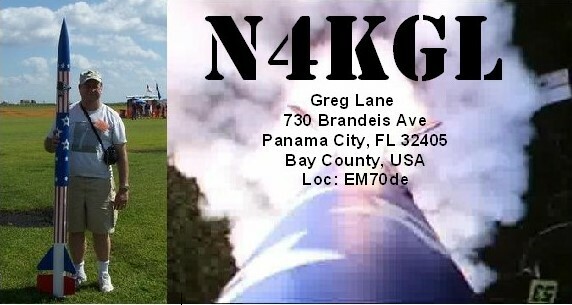 N4KGL setup using camo poles to deploy a 40 meter dipole and a two meter slim jim on top. As mentioned Bob KK4DIV and I made contact on 40 meters. 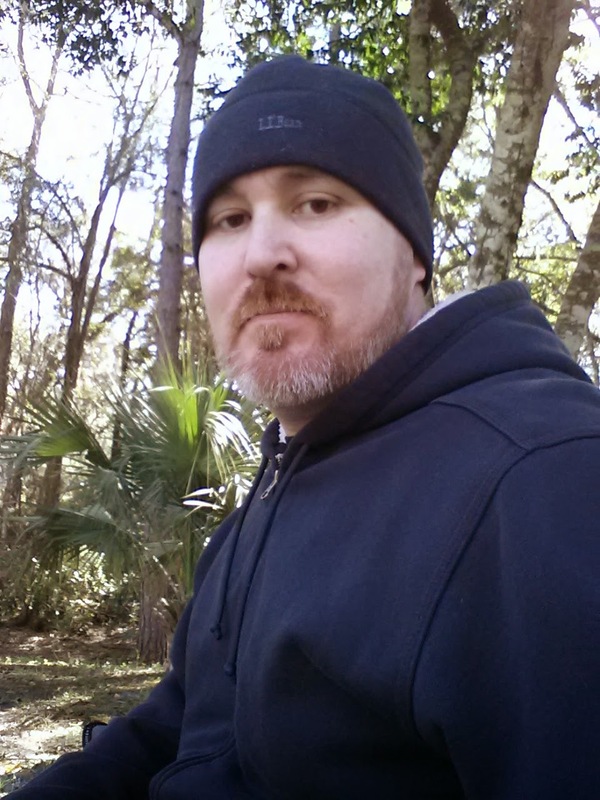 Here are some photos of his setup in his yard in Lynn Haven, Florida. Bob WB8PAF a ham buddy from Panama City attended the launch. Bob is getting into portable ops. 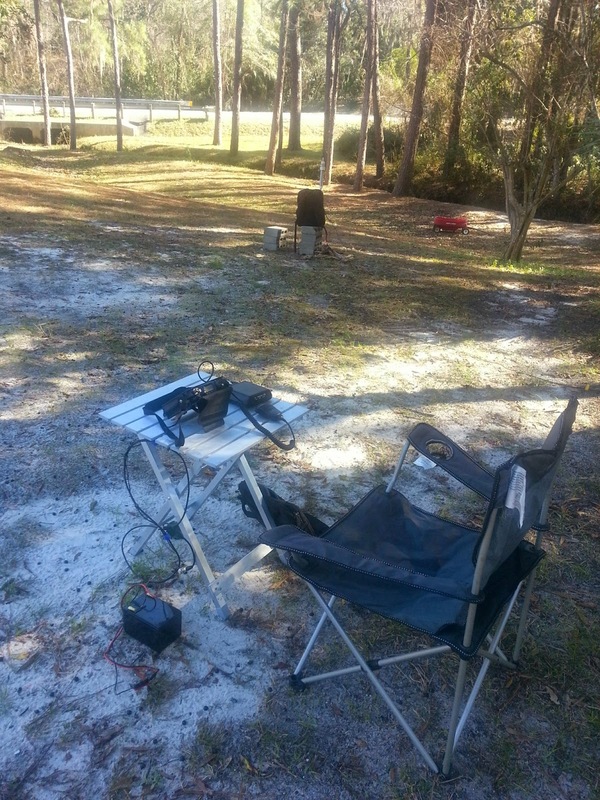 He used a G5RV and his FT 817 from the cab of the truck. to make some contacts. Bob WB8PAF operating the FT 817 from the cab. At my parent's house,Tom WD0HBR and I started working on the 1931 Philco Model 50 I inherited. We found the chassis was a mouse condo. However there was no evidence of chewing. The on off switch did not work but responded to contact cleaner. Tom checked the type 47 and 80 tubes they were very weak. 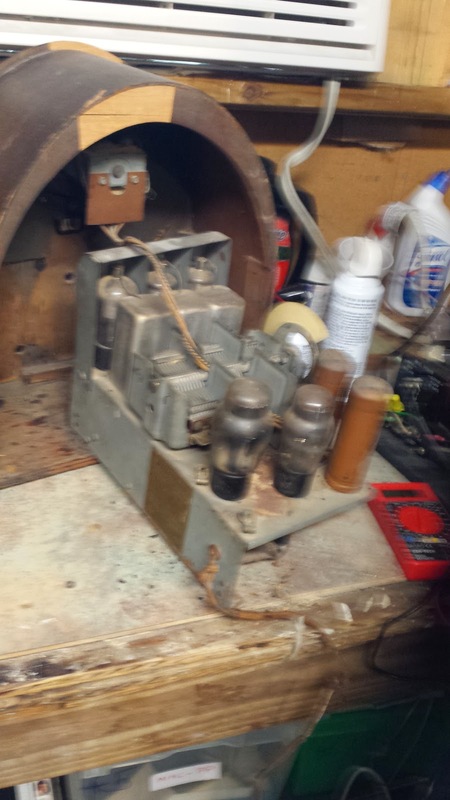 We brought up some voltage with a variac and the transformer hums pretty bad at 80 volts. The filter caps don't seem to be shorted. So running out of time, we will have to continue this project in the future.